John Muir reminds us that a life lived without great rocky outcrops and ageless trees as a part of one’s native landscape would be a life deprived of one of the greatest resources of the sublime.… In the Sierra Nevada there live trees as old as Sumerian phonographic script and Egypt’s Bronze Age Middle Kingdom—there for you to lean against and smell … alive … sap oozing from the cores of the oldest living friends we have. 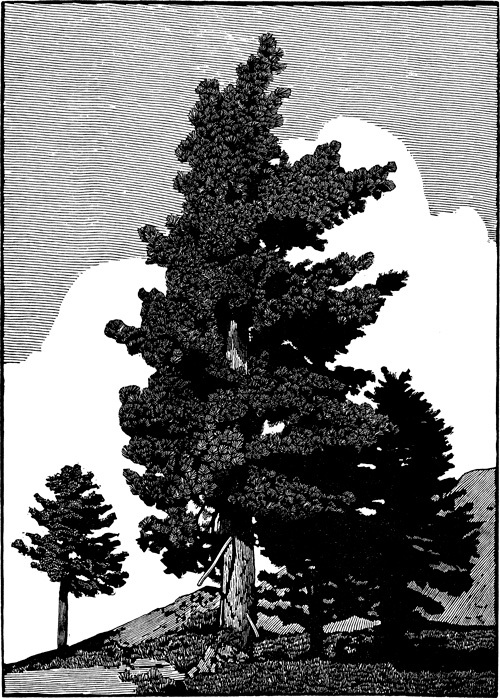 Richard Wagener’s engravings capture an essential quality of that friendship—nearness and an austere clarity. The 31 blocks, including two panorama fold-out prints, in this special edition were hand-engraved on end-grain boxwood and relief-printed by Richard Wagener. The majority were produced between 2010 and 2013. 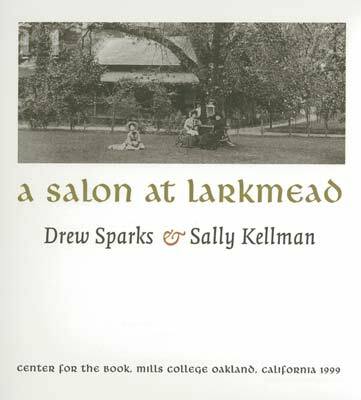 The present work is a companion volume to California in Relief, published by the Book Club in 2009 to wide acclaim, and continues a legacy of ingenuity and beauty. 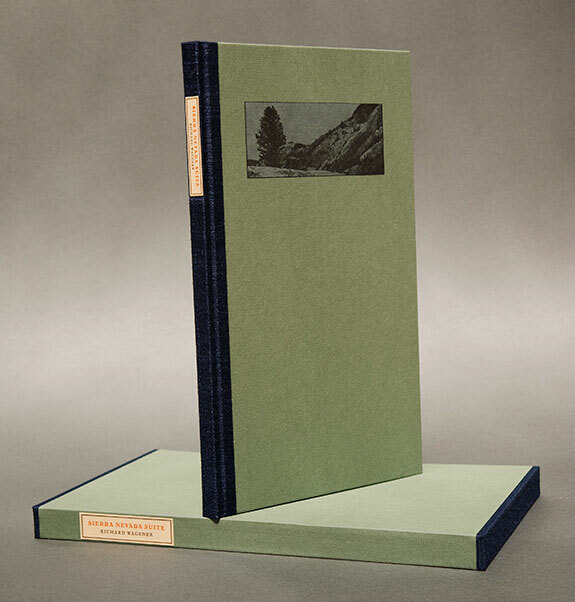 The Sierra Nevada Suite was designed and produced in an edition of three hundred and eight numbered copies by Peter Rutledge Koch with the assistance of Jonathan Gerken for The Book Club of California. Ten artist’s proofs designated A/P and ten printer’s proofs designated P/P are reserved. The typeface, Dante, designed by Giovanni Mardersteig, was originally hand-cut by Charles Malin and adapted for mechanical composition by Monotype in 1957. The text was cast at the letter foundry of Michael & Winifred Bixler and printed by Max Koch on Zerkall Büttenpapier. 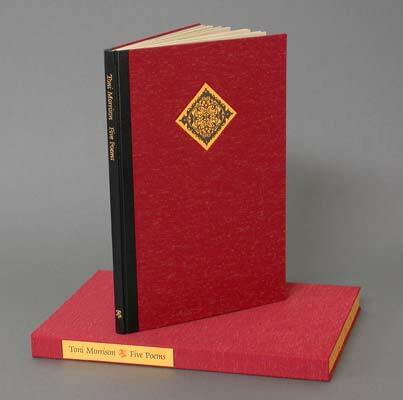 John DeMerritt Bookbinding bound and created slipcases for the book, which measures 7¾" x 12½". The Sierra Nevada Suite is Book Club of California publication 231. Working in the demanding medium of wood engraving, artist Richard Wagener has created a visual itinerary of his wanderings throughout California in his brilliant new work, California in Relief. Composed of thirty original prints and Wagener’s short prose pieces describing them, California in Relief begins and ends in Los Angeles, with stops in the San Jacinto Mountains, the Antelope Valley, Sonoma County and the Sierra Nevada. Like John Muir and Gary Snyder, Richard Wagener is a wanderer, explorer and observer of California, creating a poetry of place through both words and images, all born of actual experience. Not since Paul Landacre mastered the aesthetic and technical challenges of wood engraving in the early twentieth-century has any California artist achieved prominence in the medium until Richard Wagener began to explore it in the 1980s. 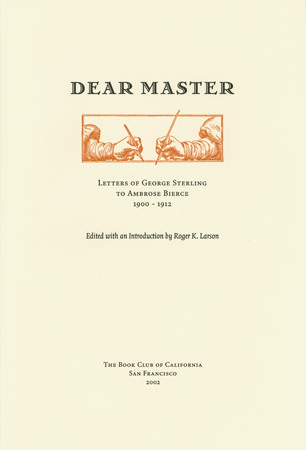 His previously published illustrated books have won wide acclaim for their ingenuity and beauty, and The Book Club of California is pleased to be the publisher of this magnificent work. Wagener’s images of nature–his stately Sierra trees, stark peaks and rocky crags–and his urban architectural monuments–the Pantages Theater and the Griffith Observatory–combine to make this work a deeply personal record of distinctive California locations. Wagener’s technical skill is such that the images shimmer, jewel-like, concise renditions in black and white of sunlight and shadow, landscape and sky. Renowned letterpress printer Peter Rutledge Koch designed, and produced the work, and Richard Wagener has printed the wood engravings himself. The edition is limited to 300 copies and each copy is signed and numbered by the artist. If you were at the Codex Foundation Book Fair and Symposium in San Francisco in February 2007, you may remember seeing Peter Koch during his inaugural speech, holding a large black book aloft and reminding exhibitors to have examples of their work ready to be photographed for the exhibition ‘catalogue’. You may also remember seeing volunteers scurrying around, collecting and delivering books to three frazzled individuals in a small room nearby. Their job was to photograph every item several times, recording the cover, inner page spreads and any unusual use of materials, processes or structure. Eighteen months later, the book is almost ready for distribution. 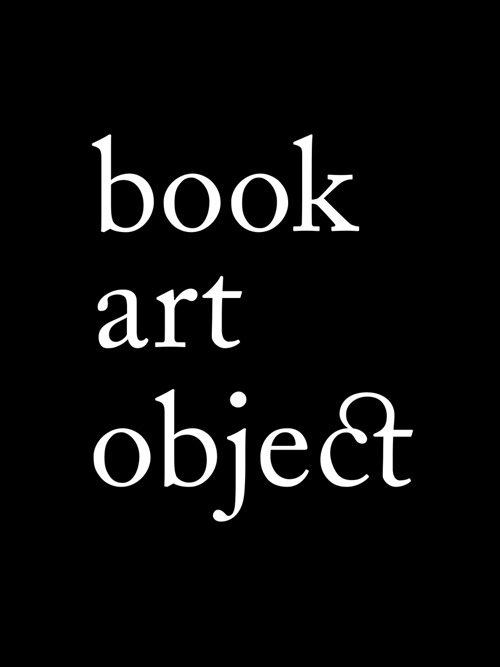 It is titled book art object. The book is case-bound, twelve by nine inches (portrait), contains 432 pages and approximately 735 colour images, and presents the work of the artists, designers and printers who came to California from all parts of the world. The work of the exhibitors occupies 200 pages. There is a preface by Peter Koch and an introduction written by David Jury outlining the historical relationship between art, design, and the book. 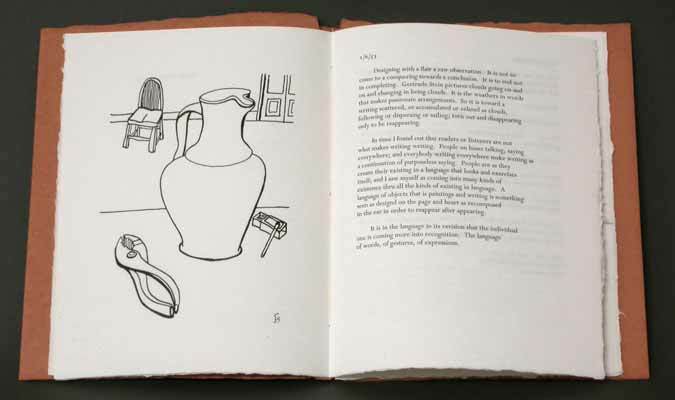 The following section contains the illustrated transcripts of each of the four speakers: Robert Bringhurst, Felipe Ehrenberg, Sarah Bodman, and Dr Stefan Soltek, all devoted to the book as poets, historians, artists, and publishers. The book includes five essays written by prominent artists and bookmakers from around the world: Crispen Elsted, Canada; Markus Fahrner, Germany; Martha Hellion, Mexico; Jadwiga Jarvis, Australia; and Gerald Lange, United States of America. The book contains an index of contact information and historical details for every 2007 CODEX book fair exhibitor, including descriptions of their working methods and current work. book art object is edited and designed by David Jury and copy-edited by J. O. Bugental. The photographer is Douglas Sandberg. Stefan Zweig; illustrated by Joseph Goldyne. A handsome new edition of this classic fable about collecting. Zweig's story set in Germany in the aftermath of the First World War is timeless, and eloquently evokes the magic of collecting, the excitement of dealing, and the pleasures and complexities of ownership. Joseph Goldyne the distinguished California artist, who is himself a renowned collector, has thoughtfully produced an illustration which successfully solves the problem of how to illustrate a book, which on first reading would seem to defy the concept of illustration, and Peter Koch has designed and printed as elegant a version of Zweig's story as one could hope for. 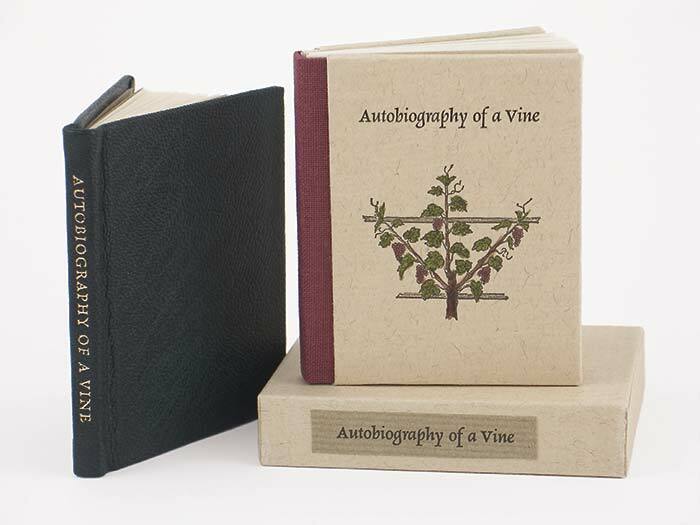 Autobiography of a Vine is the endearing story of the life of a grape vine, personally told by the vine himself, and was first published in 1866 as a chapter of My Vineyard at Lakeview by a Western Grape Grower [Albert Nelson Prentiss]. The book has become a scarce record of American grape culture, and it is our privilege to reprint this venerable chapter, embellished with 19th century wine­growing images. The book was designed and printed letterpress by the internationally acclaimed fine press printer and book designer, Peter Rutledge Koch of Berkeley, California—the first miniature book to come from Peter Koch Printers. The paper is Unicorn, hand made by the Griffen Mill. 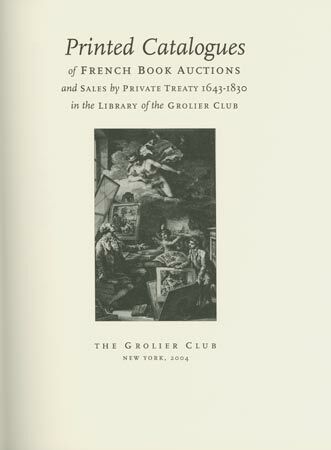 Of the 185 copies printed, 150 are hand bound by John DeMerritt in burgundy cloth and Nideggen paper, with a Wemyss-Unzelman hand-colored vignette to the front cover, and slipcased. Thirty-five copies are hand bound in full dark green leather, by Klaus Ullrich Rötzscher at the Pettingell Book Bindery. 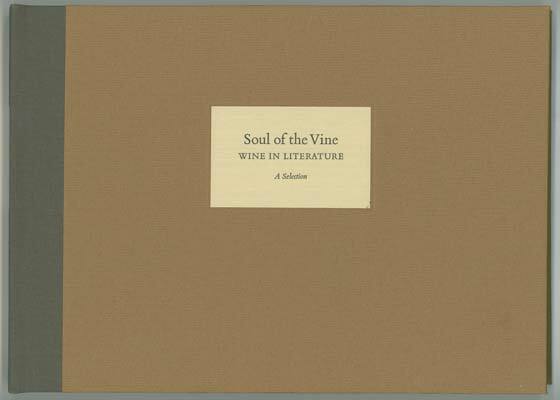 Kylix press was founded in 2006 by Nina Wemyss and Gail Unzelman to produce finely crafted miniature books about wine. With our shared passion for wine, fine press, and miniature books, we will engage some of America’s foremost craftsmen in the book arts—letterpress printing, book design, hand-binding—and use the highest quality materials for our limited edition books. With a baccate toast from the kylix, an ancient wine cup, we invite you to enjoy the pleasures of our press. Michael North; edited by Eric Holzenberg. Designed by Peter Koch. Typesetting by Richard Seibert. 450 copies printed by The Stinehour Press in Lunenburg, Vermont, and bound in gray quarter cloth and Fabriano Ingres over boards. 50 copies printed by The Stinehour Press on papier bleu and bound in sepia quarter leather and Fabriano Ingres over boards. Gold insignia printed on cover with black and gold spine label. Prefaced by Holzenberg, with an introduction by North, and an essay by Edmond L. Lincoln. Includes indices. 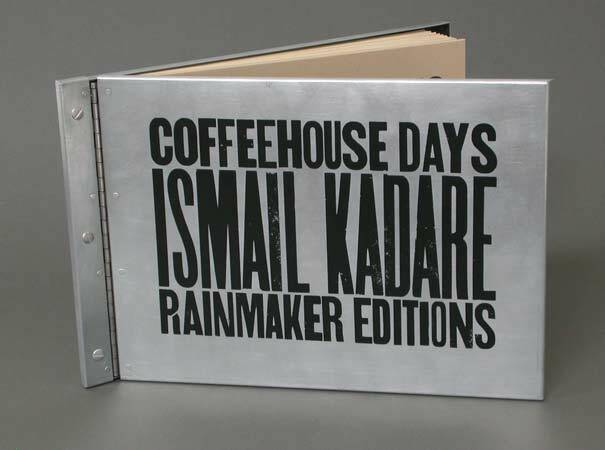 Ismail Kadare; translated by Pirro Dollani; illustrated by Peter Koch. Toni Morrison; illustrated by Kara Walker. Designed and printed letterpress from digital imaging and photo-polymer plates by Peter Koch. Printed on Rives paper using Rialto Piccolo type. 399 numbered copies bound using red quarter cloth and yellow Fabriano paper over boards. Housed in a slipcase constructed by Jace Graf in Austin, Texas. 26 lettered copies bound in black quarter leather and red cloth over boards. Printed yellow inlay on front cover with gold lettering on spine. Housed in a red cloth drop-back box with printed yellow spine label also constructed by Graf. Signed by the author, artist, and printer. Includes an additional printed proof slipped in. edited by Roger K. Larson. Designed, composed, and printed by Peter Koch, with the assistance of Richard Seibert and Max Koch, using Minion for text and Greco Adornado for display. Bound by Cardoza-James Binding Company using red quarter cloth and covered boards. Enclosed in a slipcase. Designed by Peter Koch. Typeset in Scala by Richard Seibert. Printed by Publishers Press in Salt Lake City, Utah. Lunar cover and celestial end-sheets printed by Koch. Bound using gray quarter cloth and orange paper over boards. 60 copies bound in full leather. Drew Sparks and Sally Kellman. Designed in a large square format and printed letterpress in three colors by Peter Koch, with the assistance of Richard Seibert. Composed in Quadraat and Libra and printed on Mohawk superfine text and Cranes Distaff Linen for inserts. Illustrated with 48 duotone reproductions of nineteenth century photographs and four-color ephemeral pieces printed by Phelps-Schaefer Litho-Graphics Company. Bound in quarter cloth and printed Fabriano Ingres paper over boards by Peggy Gotthold. Enclosed in slipcases constructed by Arnold Martinez. Includes facsimile inserts and appendices. Elers Koch; edited by Peter Koch. 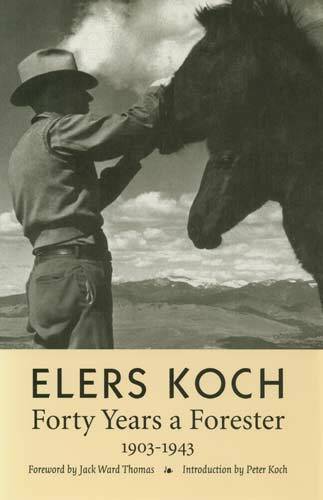 A memoir in the form of fireside yarns by Elers Koch covering the more colorful aspects of his career in the United States Forest Service from its founding until his retirement 40 years later. Introduced by his son Peter Koch, a prominent American scientist and wood machining engineer. Designed by his grandson, Peter Rutledge Koch. Maps drawn by Mark Livingston. Cover photograph by Stanley Heiberg Koch. Foreward by Jack Ward Thomas, former head of the United States Forest Service. Includes appendix, bibliography, and index. Hardcover. William Everson; edited by Peter Koch. Designed and printed by Peter Koch on Mohawk superfine text using Linotype Janson for the text and Monotype Van Dijck and Goudy Thirty for display. Photographic portrait frontispiece of Brother Antoninus (Everson) by Harry Redel. Bound in brick red cloth cover with printed spine by Klaus-Ullrich Roetzscher. 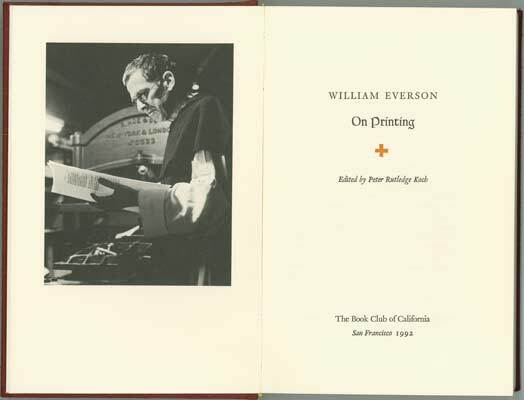 A collection of essays written by Everson on the topic of printing. Contains an Equinox Press announcement broadside facsimile tipped onto the back cover with a block print by Mary Fabilli. Introduction by Koch. While the edition was limited to 400 copies, a number of them were lost in shipping, making it a very sought after Book Club publication. Robert Duncan; edited by Robert Bertoff; illustrated by Jess. A collaboration between The Poetry Center, the Department of Art at San Francisco State University, and the Press in Tuscany Alley. Designed, printed, and bound by Peter Koch, with the assistance of Janet Bogardus, Gabriel Ella, Dale Going, Ian Hass, Susan Maney, Russell Maret, Jeff Miliken, and Sigrum Torinus, Scott Walker, and Rhonda Winter, students and apprentices at the press. Handset in Eric Gill’s Perpetua for text and Klingspor Shaded Roman for display. Terra cotta wrapper, text, and binding papers handmade for this edition by Robert Serpa, Oakland Paper Foundry. 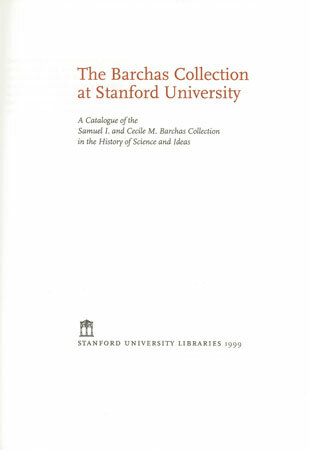 Standard editions numbered 1-90. Deluxe editions lettered A-J and include an original ink drawing by Jess extra-bound into each copy. Various Authors; edited by Nina Wemyss; illustrated by Margrit Biever. Designed and printed by Peter Koch. Composed in Monotype Bembo by the Mackenzie-Harris Corporation. 1000 copies have been printed on Mohawk superfine text and bound by the Cardoza-James Binding Company using quarter cloth, and Fabriano Ingres over boards. 100 copies have been printed on Arches text, of which 50 have been bound by Shelley Hoyt using a non-adhesive, visible long-stitch binding of handmade paper with a velum spine. 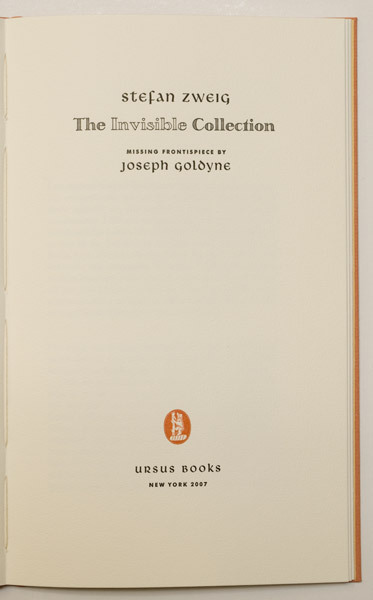 First edition contains red end-sheets. Second and third editions marked by different colored end-sheets.